Opened in 1828, the Thomas Telford-designed St Katharine Docks was once one of the busiest ports in the UK, specialising in handling luxury goods such as sugar, rum, spices, perfumes, wines and tea. Today, central London's only marina has evolved into a thriving waterside community that boasts modern and unusual office space, luxury homes, and quayside dining and shopping. One of London's best-kept secrets, it's only a stone's throw away from the Tower of London, Tower Bridge and the City of London, and is home to leading companies and brands including Tom's Kitchen, Bravas Tapas, 6 Degrees, tech incubator Rainmaker Loft, and artisan coffee shop White Mulberries. It's also home to the popular World Food Market, which takes place every Friday and serves a range of tempting street food. What are the best dining options near St Katharine Docks London? 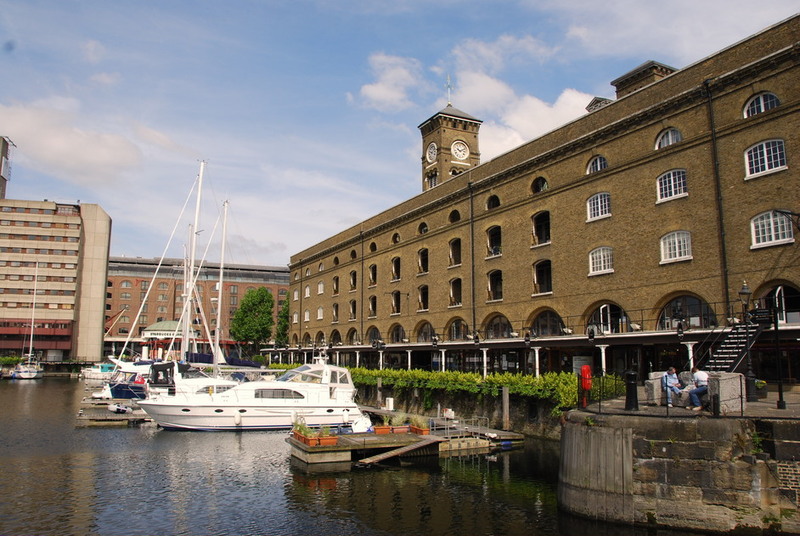 St Katharine Docks gyms, sporting activities, health & beauty and fitness. The best pubs near London St Katharine Docks. St Katharine Docks clubs, bars, cabaret nights, casinos and interesting nightlife. Where to have your meeting, conference, exhibition, private dining or training course near St Katharine Docks. From cheap budget hotels to luxury 5 star suites see our special offers for St Katharine Docks hotels, including Cheval Three Quays Apartments from 83% off.